Cut off the top of tomatoes and remove seeds together with juice. Peel and grate carrot. Combine it with sour cream, sugar and salt. Fill tomatoes with this mass. 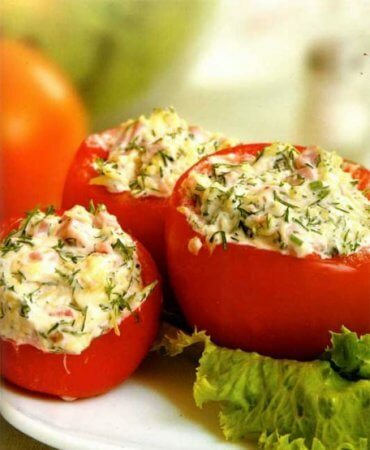 Place appetizer on a dish and powder it with dill.